The Cycle Show 2017 was as ever, inspirational! It’s always a fantastic experience with so much to see and do. This year was no exception. Obviously our attention was on electric bikes…how could it not be! 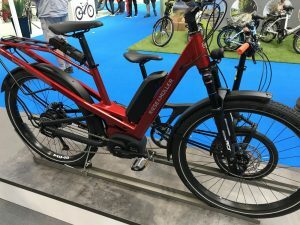 It is of course where the cycling industry is experiencing growth, and the large number of e-bikes on display reflected that. It was hard to turn a corner without being greeted by one of these handsome creatures. All manner of designs were present, with every rider in mind. If electric bikes are your thing, then you won’t be disappointed. 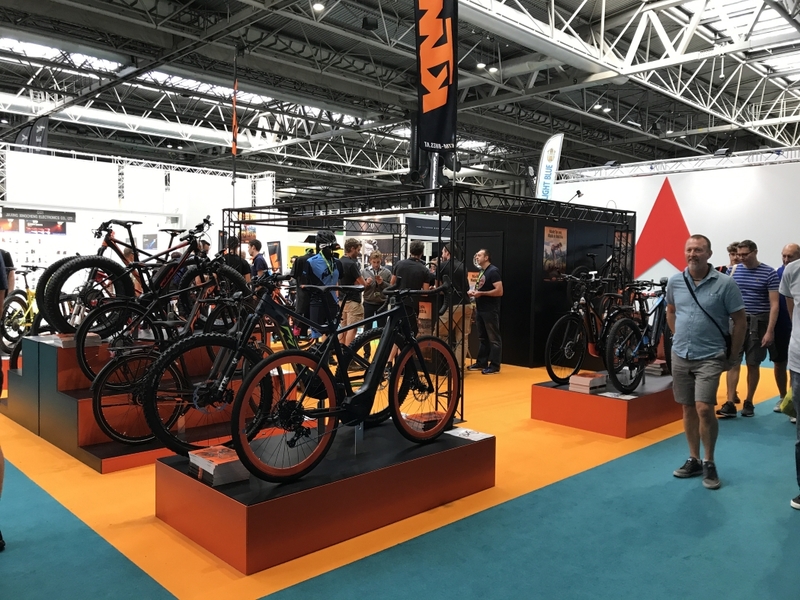 The Cycle Show 2017 lived up to every expectation and delivered admirably! Now there’s a question. In one word…LOTS! As you might imagine, the show is very well attended, and is visited by thousands. Parking is always very well co-ordinated with lots of help on hand if needed. We chose to travel by train into Birmingham International station which provides easy access to the NEC. It’s a bit of a walk, but not too far! Highlights for us had to be the e-bike test track which was constantly in use. It’s an important part of the process when considering making a purchase. Thankfully here at OnBike we offer test rides ourselves and you don’t have to wait 12 months for the Cycle Show! There was a real mix of bikes available. The people I spoke to really enjoyed the experience, especially those that had’t tried an e-bike before! The Cycle Show 2017 was a great opportunity to explore every element of cycling. There’s so much expertise and knowledge present as well as the bikes, accessories and clothing. It’s a very friendly and welcoming experience, be sure to book your tickets for next year! CUBE E-Bikes are Coming to OnBike…. !